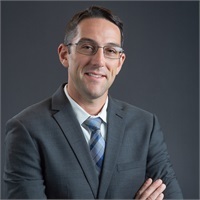 Travis joined Tallus in 2013 after he earned his Bachelor’s degree in Business Administration with a concentration in Finance from the University of Washington. While on campus in 2011, he expanded his passion for financial planning by joining the UW chapter of the Financial Management Association. In 2012, he furthered this passion by becoming the chapter president. As your personal financial advocate, Travis is committed to helping you create a personalized financial strategy with your lifestyle goals in mind. He brings a focus on all aspects of family planning, college planning, and distribution planning. Travis currently holds the series 7 registration with LPL Financial and the series 66 registration with Financial Advocates Investment Management, as well as insurance licenses. He and his wife live in Kenmore and participate in the many outdoor activities available to them including golfing, fishing and cycling.